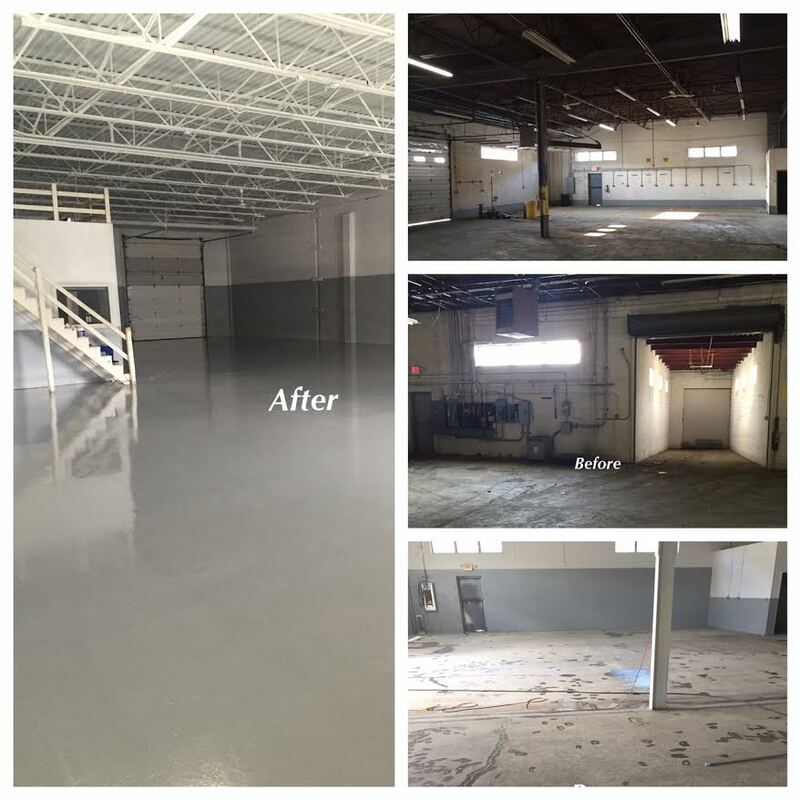 We provide South Jersey Epoxy Flooring (Epoxy Floor Coating) for Commercial & Residential clients. We also serve Central Jersey, Philadelphia & Delaware. 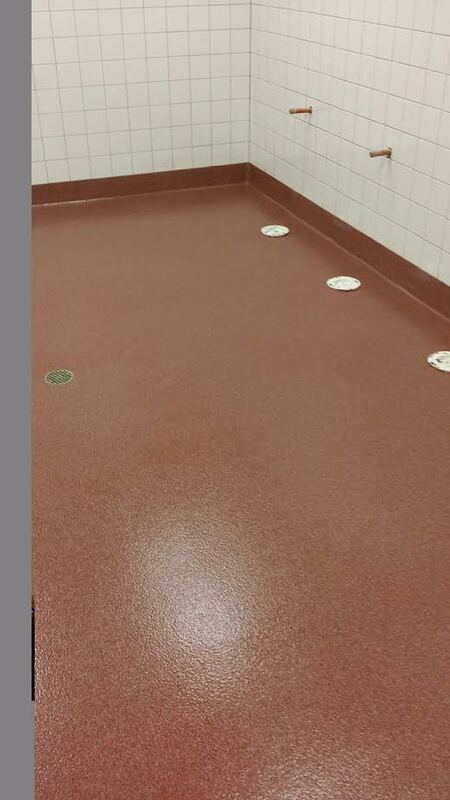 Epoxy Floor Coatings for commercial clients can be used in restaurants, supermarkets, warehouses, manufacturing facilities, restrooms, kitchens, auto repair shops, airplane hangars, firehouses, and much more. 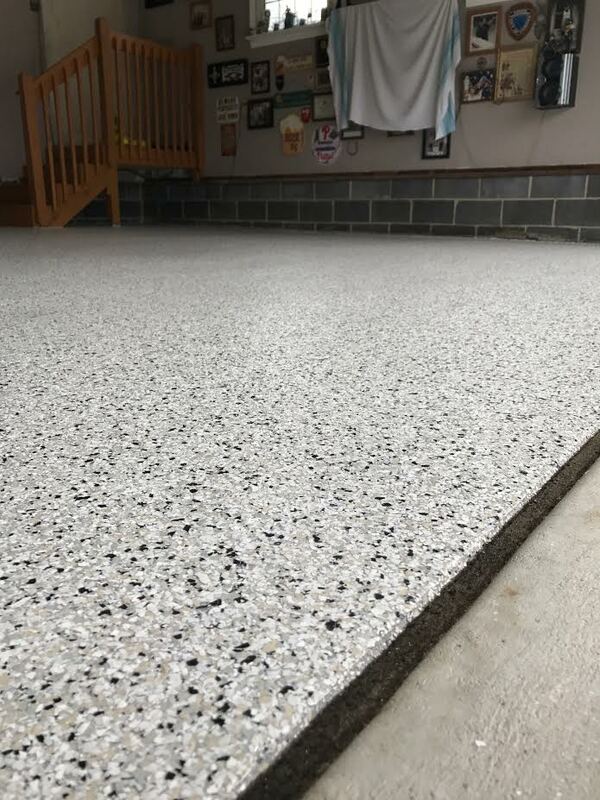 For residential clients, Epoxy Floor Coatings can be used in garages, basements, patios and more. 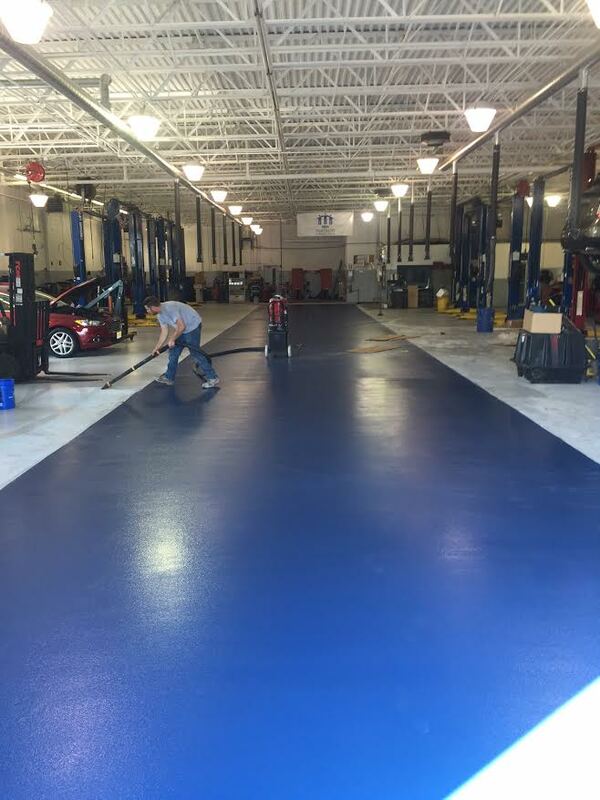 Why Royal Painting Services, Inc. for your Epoxy Flooring? 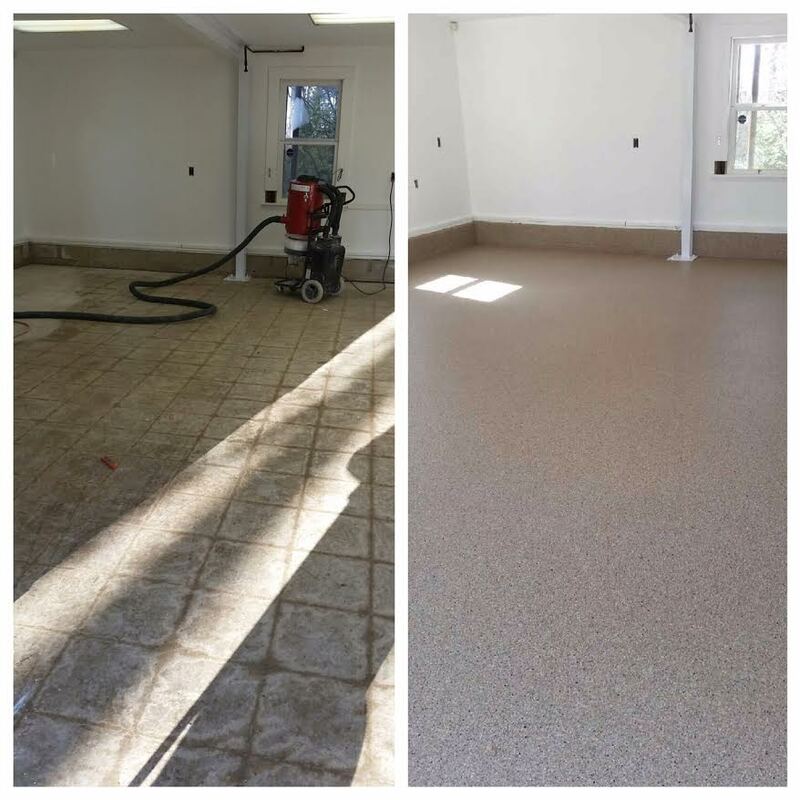 Royal Painting Services, Inc. is a leader in Epoxy Floor Coatings in the South Jersey area. Our large inventory of preparation equipment allows us to effectively and efficiently prepare and coat most concrete surfaces. 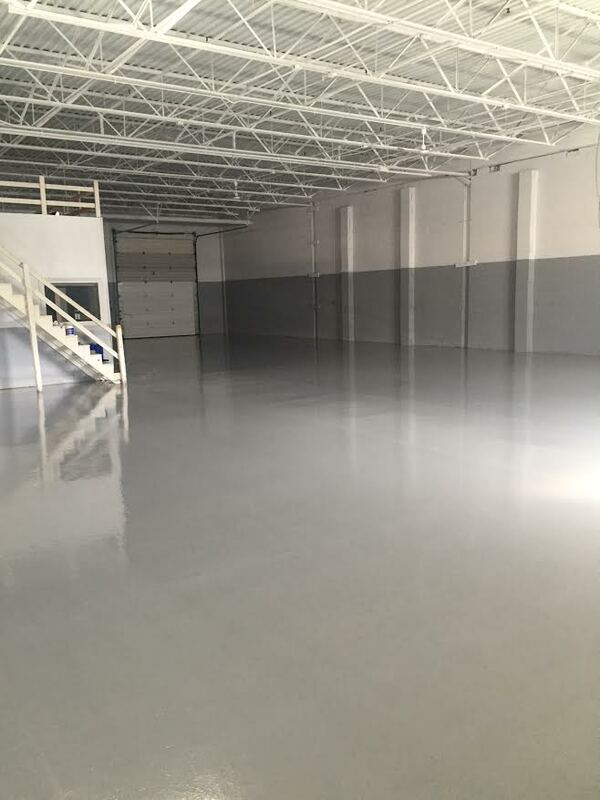 We realize that most customers have a limited window of available down time, so our Epoxy Floor Coating applications are completed in a timely manner within our customers' time frames. We utilize a trained team of insured professional Epoxy Flooring installers who adhere to strict standards that guarantee satisfaction and safety. 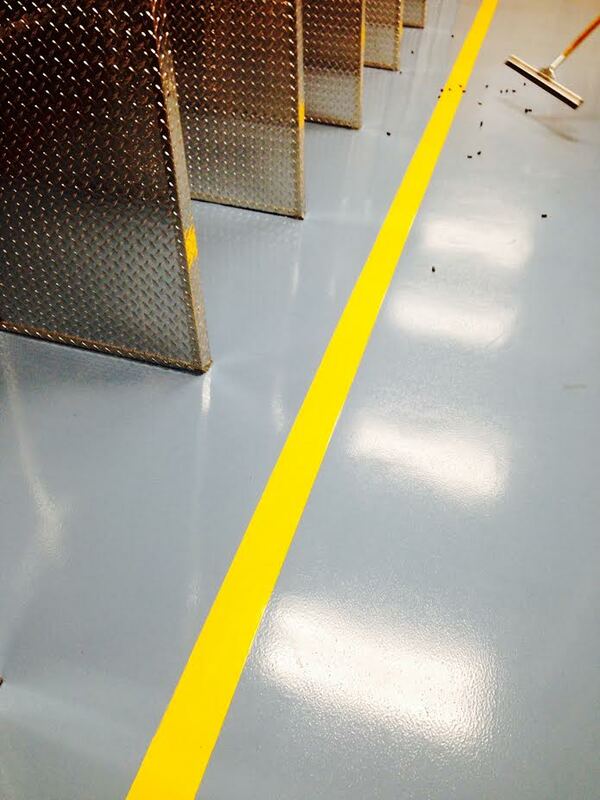 Epoxy Floor Coatings provide a seamless surface that come in a wide range of finish and color options. It can be installed on most concrete surfaces, and are low odor and environmentally friendly. Epoxy Flooring is a superior and eco-friendly alternative to tile, bare concrete, or old worn out concrete. 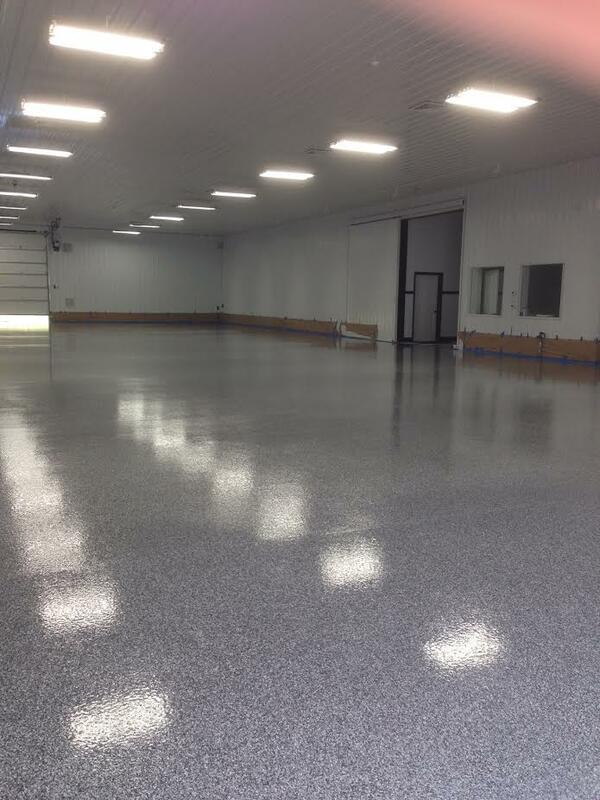 Epoxy Floor Coatings are aesthetically pleasing, durable, chemical resistant, slip resistant, and easy to clean.